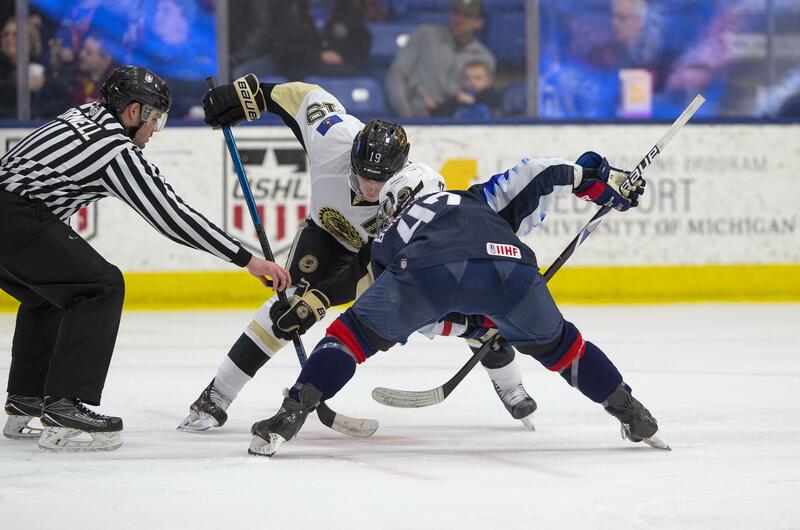 USA Hockey’s National Team Development Program finishes off regular season USHL play with a combined record of 59-36-5-6 (W-L-OTL-SOL) and a USHL record of 30-21-2-6. The U.S. National Under-17 Team hosts the Muskegon Lumberjacks on Thursday, Apr. 10 with puck drop slated for 7:00 p.m. ET. The next day, the U17s play its final home game against the Youngstown Phantoms on Friday, Apr. 11, before traveling to Covelli Centre for its final regular season game against the Phantoms.